Aerosols: Spray paints, deodorants, aerosol computer cleaning products, and cooking sprays. Volatile Solvents: Gasoline, glues, lighter fluid, felt-tipped markers. Gases: Whipped cream dispensers, nitrous oxide, ether, chloroform, and butane lighters. Individuals most likely to abuse inhalants are adolescents and pre-teens. In 2016, nearly 8% of 8th graders reported having used inhalants in their lifetime and just under 4% had used an inhalant in the last year. In the same year, 6.6% of 10th graders and 5% of 12th graders reported having abused inhalants at some point in their lives. Inhalants are the only class of substances that are abused more frequently by younger teens than by older teens. While these inhalants are easily obtained, they are still considered severely dangerous, and repeated abuse can lead to inhalant addiction, a progressive condition characterized by continued use regardless of the negative impact on a user’s life.1 Once a user becomes addicted to inhalants, it can be difficult to quit due to distressing withdrawal symptoms. Inhalant detox treatment and substance abuse treatment can help you promote positive change and obtain and maintain sobriety. If you or someone you care about is struggling with an inhalant addiction, help is always available. Seek a professional detox or addiction treatment program that can facilitate recovery. What Are the Immediate Effects of Inhalant Abuse? Increased heart rate and body temperature. What Are the Dangers of Chronic Use? Spasms in arms and legs. Brain injury impacting thinking movement, vision, and hearing. Heart failure resulting in death. Another risk of chronic inhalant abuse is the development of a dependence. Once someone is dependent on inhalants they are likely to experience withdrawal symptoms if they attempt to quit or reduce use. These unpleasant withdrawal symptoms may contribute to a cycle of compulsive inhalant use that can be difficult to break. Some long-term effects are reversible if you quit using inhalants, which is why it’s so important to seek help immediately if you use inhalants or have an inhalant addiction. A professional detox or addiction treatment program can provide you with the support necessary to avoid relapse and live a happier and healthier life. Prolonged inhalant abuse can lead to dependence, which is the body’s adaptation to the presence of a drug. When a user develops a dependence on an inhalant substance, they may feel as if they need to consistently use it to function normally. If inhalant use is abruptly discontinued or reduced, unpleasant withdrawal symptoms may emerge. Because inhalants cover a wide spectrum of products, it is difficult to pinpoint an inhalant detox timeline. The length of time inhalants were used. The amount and frequency of inhalant use. What other drugs, if any, were combined with using the inhalant. One’s physical and psychological health. Recovery from any kind of drug abuse is a process. It begins with the desire to seek help. If other drugs are involved, this complicates the detox process as the individual must be treated for varying withdrawal symptoms. This may lengthen the detox period and require a different set of interventions. Because many people who use inhalants are under the age of 18, and because there is a significant risk that alcohol and other drugs are also being consumed, treatment in a secure and monitored medical setting can ensure safety during withdrawal. Recovery from any kind of drug abuse is a process. It begins with the desire to seek help. The next step is finding a detox program in which one can safely detoxify from inhalants. Detoxification is a process in which the body clears itself of dangerous toxins. While detoxification is a vital first step on the road to recovery, it does not constitute comprehensive substance abuse treatment. Therefore, patients can benefit from transitioning into an addiction treatment program once they complete the detoxification process. 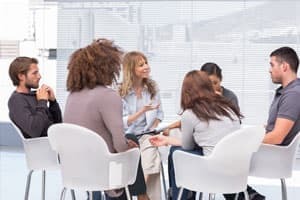 Every addiction treatment program has its own unique philosophies and utilizes different interventions, so it’s important to conduct your own research when looking for the right treatment program that fits your needs. Failing to carry out important home, school, and work responsibilities. Failing to cut back or quit inhalant use. Using inhalants in larger quantities or for a longer time period than planned. Spending a lot of time finding, using, and recovering from inhalant use. Experiencing strong urges or cravings to continue using inhalants. Continuing to use inhalants in spite of psychological or physical conditions caused or worsened by use. Continuing to use inhalants despite significant social or interpersonal consequences. Developing a tolerance to inhalants, which means the user requires increasing amounts to experience the desired effects. Experiencing withdrawal symptoms when inhalant use is abruptly discontinued or reduced. If you or someone you know suffers from an addiction to inhalants, a detox program can assist during the withdrawal process and ensure safety and comfort. It’s important that you meet with a doctor who can recommend a withdrawal treatment program that suits your individual needs. Inpatient detoxification provides an additional layer of safety and supervision as your body goes through this transition into a drug-free life. This form of detox treatment is beneficial to those who have a severe addiction, a polydrug addiction, or co-occurring mental health or physical conditions. You will be monitored 24 hours a day and can get immediate assistance should complications arise. You will also be separated from your old environment that may trigger you to reinstate inhalant abuse. Not everyone requires inpatient treatment when detoxing from inhalants. A physician can facilitate detox on an outpatient basis, but this requires regular office visits so that your health can be closely monitored. You can also receive detox services at an outpatient facility that has experience in treating inhalant detoxification. It’s important that you meet with a doctor who can recommend a withdrawal treatment program that suits your individual needs. Regardless of the type of detox program you choose, it is vital to your recovery that you consider transitioning into a formal substance abuse treatment program following detox to help you better build the foundation for long-term sobriety. Most inhalant addiction recovery programs combine several treatment modalities to provide you with the coping strategies and sober social skills you need to maintain sobriety in your everyday life. Treatment can help to address the underlying reasons that you began to abuse inhalants in the first place and help to rectify unhealthy, drug-seeking behaviors. Following the initial detox period, without continuing with a recovery program—either in an inpatient or outpatient setting—the risk of relapse is high, particularly if you return to your old, using environment. Inpatient treatment is designed to provide a comfortable setting for you to put in the work required for living a clean and sober life. You will live at the facility for the duration of the treatment program, which can vary depending on your addiction, needs, and mental and physical health. During treatment, you will participate in a variety of services including group, individual, and family counseling. You will learn about relapse prevention and your treatment team will work with you in creating your aftercare plan. You will be free from distractions or triggers so that you can focus solely on your recovery. There are a number of factors that impact the cost of inpatient treatment. These include the location of treatment, length of treatment program, amenities of the facility, and the type of insurance coverage you have. For this reason, it is important to do your research to find the best fit for your needs. Some people participate in an outpatient treatment program, which allows you to live at home and continue participating in your daily life, directly after detox, while others complete inpatient treatment and then utilize outpatient as step-down treatment. Outpatient treatment offers a variety of options. Partial hospitalization programs (PHP) usually run 5 days a week for 4-5 hours a day. Medication may be administered in that setting, if necessary. Intensive outpatient (IOP) is similar, but meets 3-4 days a week for a shorter period of time and does not typically administer medication. 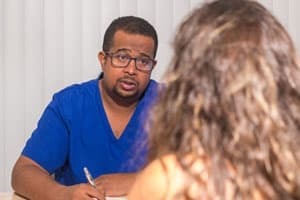 Standard outpatient therapy generally involves meeting with a therapist in an individual or group setting for 1-2 times per week for an hour or two per session. National Institute on Drug Abuse (2012). Inhalants. US Department of Health and Human Services, Substance Abuse and Mental Health Services Administration (2013) Detoxification and Substance Abuse Treatment: A Treatment Improvement Protocol TIP 45. American Psychiatric Association (2013). Diagnostic and Statistical Manual of Mental Disorders. (5th Edition). Arlington, VA. American Psychiatric Publishing. National Institute on Drug Abuse. (2012). Inhalants: Brief Description. Perron, B.E., Howard, M.O., Vaughn, M.G., Jarman, C.N. (2009). Inhalant Withdrawal as a Clinically Significant Feature of Inhalant Dependence Disorder. Medical Hypothesis, 73 (6): 935-937. National Institute on Drug Abuse. (2012). What are the other medical consequences of inhalant abuse? National Institute on Drug Abuse. (2012). What are the short- and long-term effects of inhalant use?